Khaki reminds me much of summer and of country clubs. I don’t know if this is because of the famous nail polish shade or because I’ve watched a few movies that involve country club staff wearing khaki as part of their uniform. Either way, this is how I associate anything khaki. I used to own a pair of khaki pants when I was younger. It was a straight cut GAP pair that only sees the light of day when I do castings for roles that require me to wear pastels and neutral shades. Khaki really isn’t my thing, so I let go of it. Since then, I don’t own any kind of khaki anymore, up until I was reintroduced to it again. 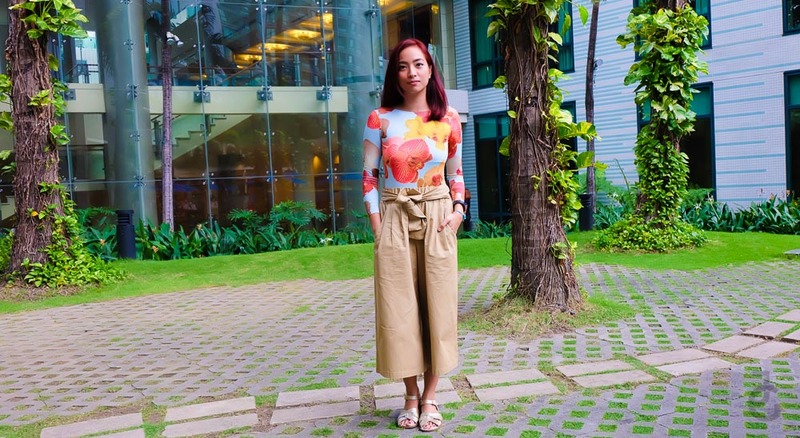 This pair of khaki culottes looks way better than the one and only pair of khaki pants I used to have. I guess the cut makes it more wearable and easier to mix and match. If you’re not a fan of pants or jeans, then perhaps culottes might be your liking? Think of it as the perfect pair between shorts and pants. It’s not too short nor is it long and it gives you the right chicness without showing too much or too less skin. Sabeeeeh?! I never thought I’d love culottes as much as I love wearing skirts or dresses. My MIL even pointed out how it’s making a comeback. Back in her time, it was already an “in” thing to wear. 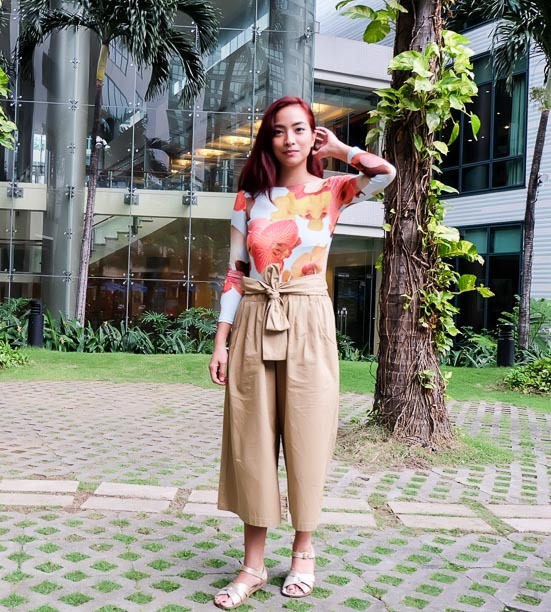 Fashion and trends really come and go, so if you’re a choosy fruit gum on what to invest on, you might want to consider adding culottes to your wardrobe. It’s easy to wear, just like your favorite pair of jeans. Only it adds a certain “style” factor to your look ‘coz of it’s length and width. Hindi nga naka-shorts, naka-backless naman. Hahahaha! I wore this during Berry’s Country Club Birthday Party! Thanks Tin aka Manila Fashion Observer for inviting us. Swak na swak yung #OOTD ko e no? Lakas maka-yaman ng country club location. Hihihi.